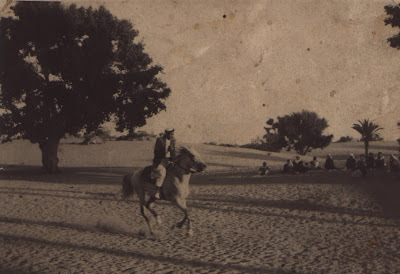 Arab Suqrir before the diaspora. 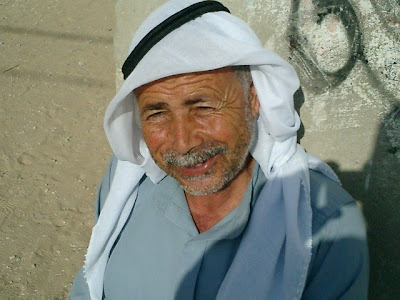 A refugee from Arab Suqrir (below). Ashdod has figured prominently in the western press because one Israeli woman died there as a result of a rocket attack. One hundred times as many Palestinian Arabs have died during Israel's latest massacre, but the woman who died in Ashdod featured prominantly in a Newsweek story. The Israeli town Ashdod sits on the remains of 'Arab Suqrir. It was established in 1955. According to Walid Khalidi in All That Remains: The Palestinian Villages Occupied and Depopulated by Israel in 1948, "Arab Suqrir was the subject of the first Haganah operational proposal to level a village . . . ." He cites an intelligence report that recommended: "The village should be destroyed completely and some males from the same village should be murdered" (80). The village wasn't "physically destroyed until 24-28 August, during Operation Nikayon ("Cleansing")" (80). The population af 'Arab Suqrir was 390 in 1944/45(80). Palestinian Arabs owned 12,270 dunums of the land, and Jews owned none (80). Their houses were made of stone. The villagers cultivated orchards, citrus, cereals, citrus and bananas (80). Israel was quite busy during the second truce of the 1948 war leveling villages and ethnically cleansing the Arab Palestinian population. "The Brigade [Giv'ati] made use of the second truce of the war 'to expell all unarmed [persons] from [the area],' according to the operational orders. A Giv'ati intelligence officer claimed that most inhabitants had left by the time the orders were implemented, so the units blew up stone houses and burned huts, and 'ten Arabs who tried to escape were killed'" (80). "Two houses remain standing" (81).